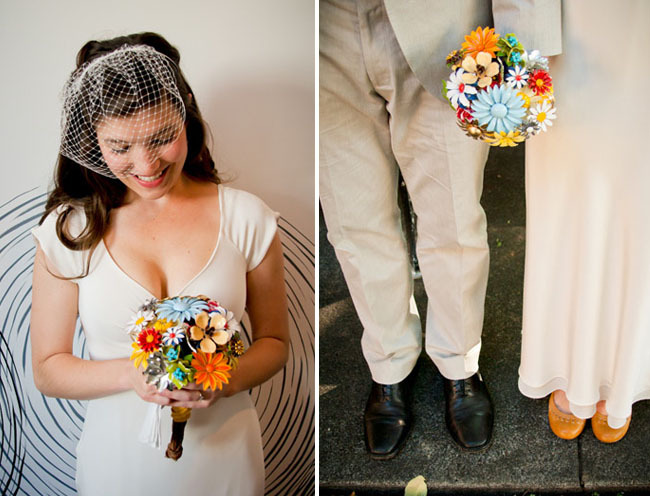 How to make your wedding bouquet original, not like everyone else …. 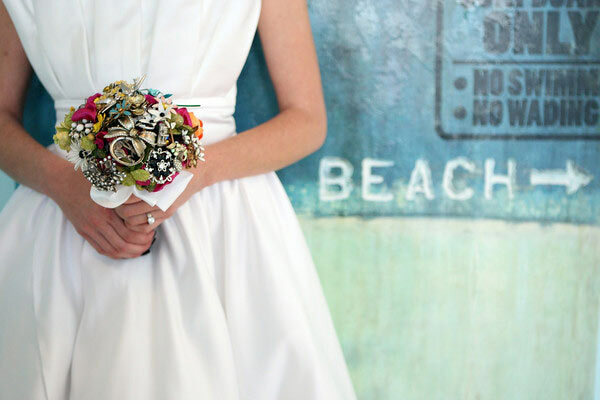 new European trend wedding bouquets of fabric, buttons or paper. 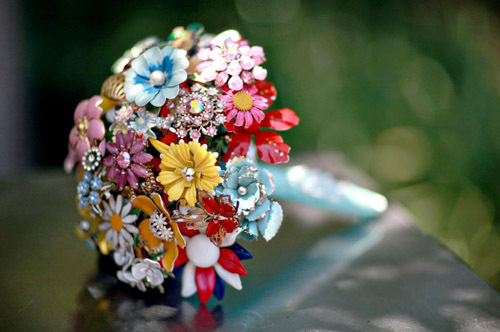 In the same style are usually selected and other accessories: a buttonhole for the groom, hair clip and so on. 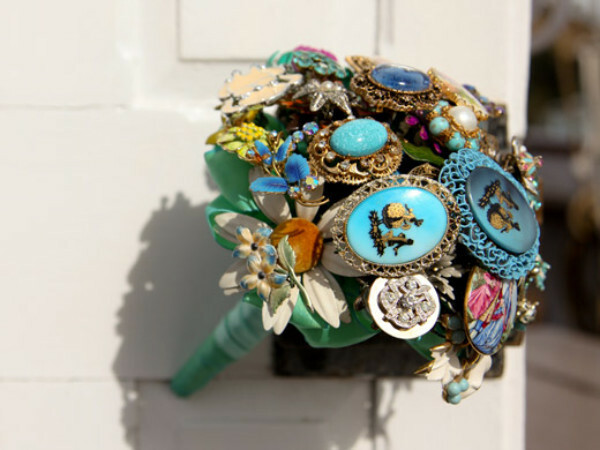 Another undeniable advantage of a bouquet of buttons is its durability. You can admire them for many years of your life together. Such a bouquet is easy enough to do by yourself. We bring to your attention a small photo master class how to make a bouquet of buttons with your own hands. 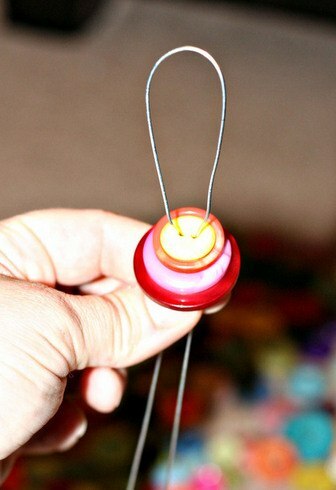 To make one flower, put a button of the largest diameter on the wire. 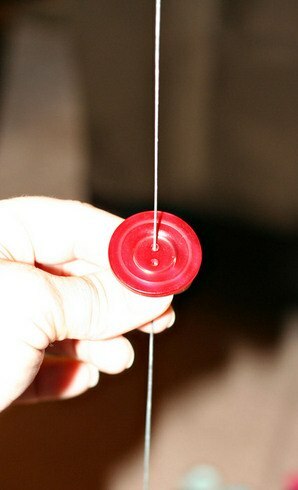 Buttons string from larger diameter to smaller. The size of the flowers can be changed by adding or decreasing the number of buttons. The end of the wire is inserted into the second hole of the button. Above the button of the smallest diameter is a loop. It is necessary to tighten the wire and align its ends. 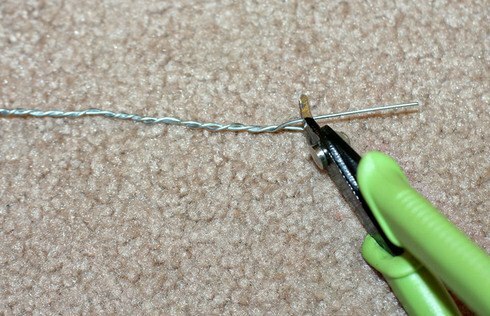 Tightly wrap one end of the wire around the other with pliers. 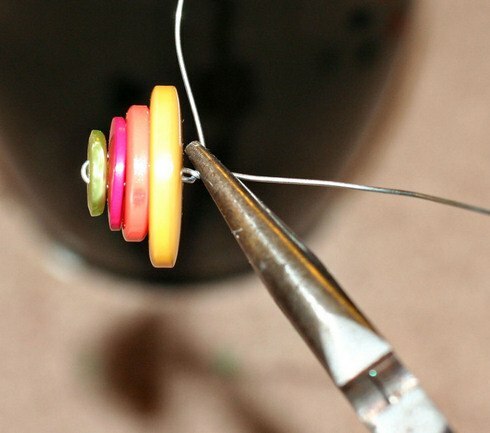 If the wire is plastic enough, you can simply twist the ends of the wire together. 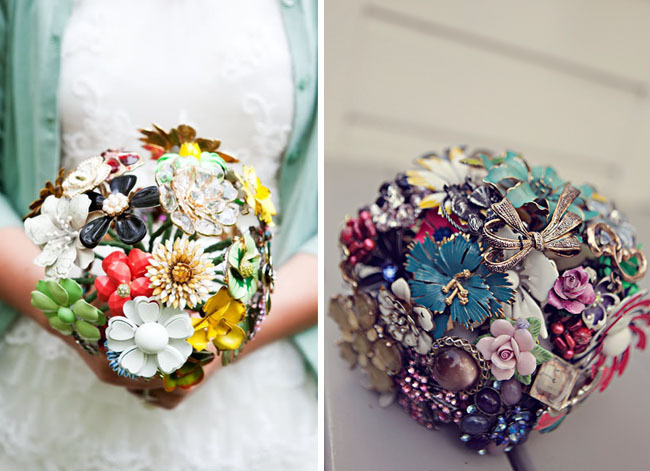 A few wonderful examples of design of bouquets from buttons look below.